Focus was not exactly my friend this month (when is it ever anymore), but I did manage to get a BIG chunk of one WIP done. I’m going to blame that lack of focus on the two long weekends we took this week, one for my birthday, and one for our anniversary. Fun times, but the sort of thing that lets my brain wander freely to play with ideas that I don’t really need to harvest. 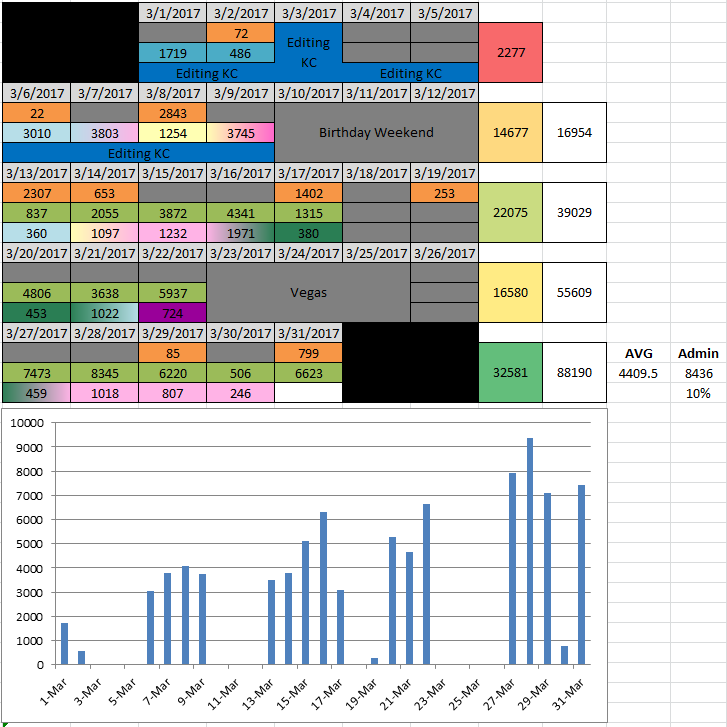 Another thing I decided to pay attention to this month was how much admin I did. I tried to write enough fiction to keep that admin down below the 15% mark (and managed it this time around—probably because I did next to no blogging or prewriting). I did manage to surpass all of my recorded word counts for March, so that’s pretty fun. search for something in my archives, well… sorry! The blog is going to be down for a little while as things get sorted out, but I’ll be back soon-ish. when we’re back up and running, sign up for my newsletter above and you’ll get an email letting you know. 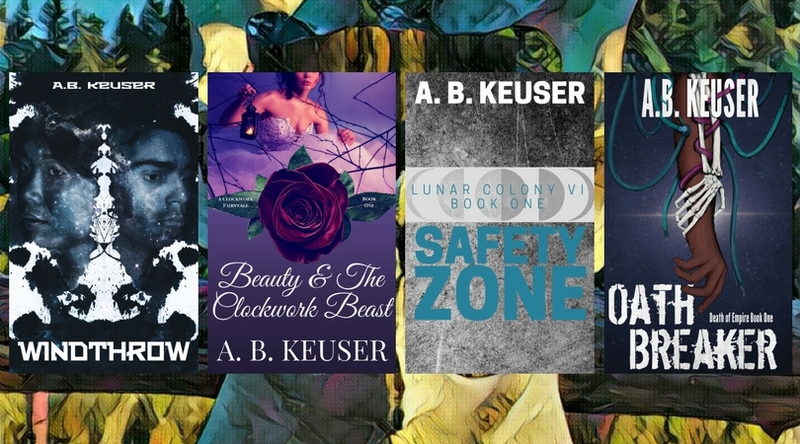 And, as always, you can still grab my books from Amazon. Whatever you celebrate: Christmas, Hanukkah, Kwanzaa, Yule, or anything else I’m forgetting (sorry! ), I’m happy we’ve gotten to the point. Not because I’m confident I’ll wrap up everything I’ve got left on my list before we ring in the new year. It’s definitely not because EVERY store is going to be a hellscape for the rest of the month. It’s only partially because I get to hum Christmas tunes all month and my husband can’t roll his eyes at me. I’m happy we’re here because it means we survived another year, and we’ve made it through writing slumps and breakthroughs, through the joy of perfect sentences and the frustration of edits where whole chapter have to be thrown out. If you walked through the exhibitor hall at Phoenix Comic Fest this year, you really can’t have missed the Stranger Comics booth. There was an enormous banner with the cover of Niobe: She Is Death and the Untamed: Killing Floor. Both of these beautiful illustrations feature the a striking brown elf girl (one as a child, the other as a warrior) and an amazing young woman spent delivered a pitch she better have been paid well for because it was delightful, engaging, and concise. 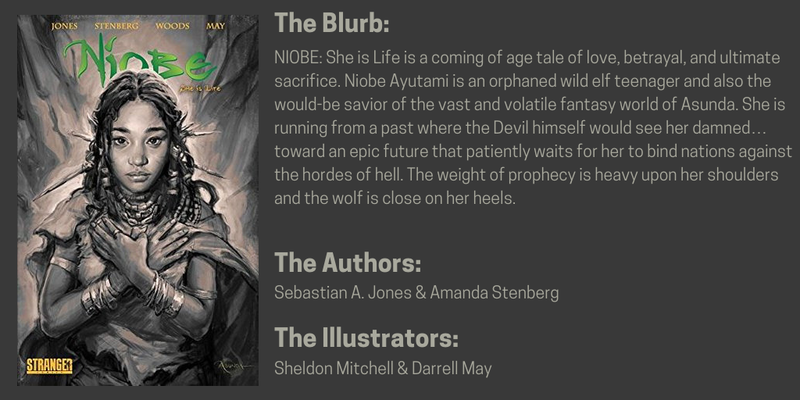 Niobe: She Is Life is the first of the Stranger Comics line that I’ve read. It was the reason I went to the booth, after all. So I sat down and read through the epic fantasy on a bright Saturday, and was left… confused.